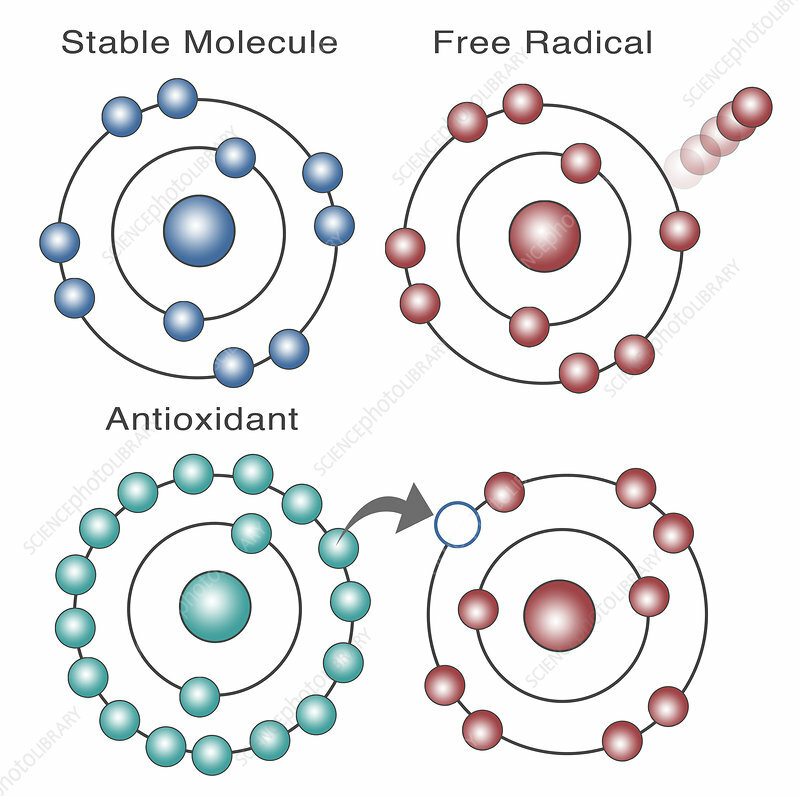 Illustration demonstrating the effect of free radicals on a stable molecule (top) and the effect of antioxidants on free radicals (bottom). Free radicals are atoms with an odd (unpaired) number of electrons and can be formed when oxygen interacts with certain molecules. As depicted at the top right, they are toxic renegade molecules that attack and destroy other molecules. Antioxidants (bottom left) neutralize free radicals by providing the electrons that free radicals want.